Apple has come a long way from a company that was struggling to even think of competing with software giant Microsoft in the early days of computers to a global brand worshipped by its fans. It has undoubtedly introduced some of the most memorable gadgets and technology in recent memory: the iMac G4 (one of the very first computers I’ve used); the first generation iPod which blew away music lovers; and the iPhone, a legend in itself. Despite (and perhaps because of) all its virtues, Apple has been showing more callousness than compassion with recent ruthless lawsuits. Apple, simply put, is becoming a technology villain. 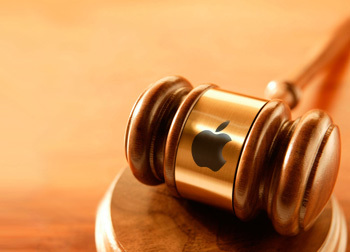 Apple has several legal wars on-going now. 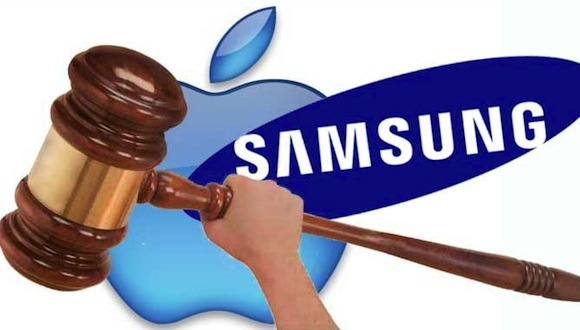 From their current attempt to block more than twenty HTC phone models in the US to their seemingly never-ending conflict with Asian tiger Samsung, Apple isn’t exactly making friends around the world. Perhaps, this wouldn’t be such an issue if Apple wasn’t such a big company. In fact, it’s one of the biggest and most effective American companies around right now – and their strategy of ‘wage war on anyone anywhere’ is quite the disliked policy in more than one country around the globe. A quick Google search would reveal hundreds if not thousands of patents filed daily. Patents are tricky things; even sticks (“entertaining toys for dogs which can be thrown”) have received an attempt at patenting. My point is that patents on virtually anything – from a shape to a certain angle of a logo – can be filed. With this kind of universal vagueness, it’s not so much the patent that’s important, but the lawsuits which it can cause – and the money and control it gives the winner – that is Apple’s main battle strategy, in my opinion. It’s brilliantly devious. The risk, therefore, of creating something ‘new’ that has already been patented is simply not worth it for a company/start-up that does not have the resources Apple can muster. If I were a technologist, the risk of having my career end and research funding thrown into the money pit of litigations is far too much. Apple has sued for the system of unlocking a device via swiping an image; it has sued over i-anything; it has even sued on shape. Intellectual property is one thing, but going overboard is another. What makes the recent Apple cases and issues ironic is that the company is not the ‘clean cut good boy’ it dresses itself up to be. I’m no Apple-hater; my favorite running buddy is my iPod Touch – but its ruthless policy is just bad for the tech industry. Apple copies too (hint: the Mac system and Xerox… the iPhone design and Sony… the iOS 4’s notification system and Android…) but what makes it a technological villain is the fact that instead of promoting its well-made and classy products, it concentrates on trying to kill whichever competitor can give it a run for its money. Editor's Note: This article was written by Jason Cruz ("jsncruz"), a special writer and contributor of Glich's Life. He is a social media specialist at one of the biggest ad agencies in Asia. He blogs about social media, positive thinking, and running. He's also proud to be a wine geek and a marathoner when not in front of his computer. Revisions to this article were done by yours truly prior to posting. You can follow jsncruz on Twitter (@jsncruz).